to these treats for the senses. Hand-made in Thailand, these ceramic lamps are made in a process that dates back 800 years. (L) 35″h navy retail $1,090 ea our price $495 ea. (R) 33″h blue & white retail $850 ea our price $425 ea. Large scale. Don’t miss your chance to own one of these MAGNIFICENT LAMPS at major savings! (L) 20″h ivory retail $495 ea, our price $175 ea. (R) 22″h blue & white retails $569, our price $325. Beige sofa, $795 90x40x40h. Turquoise floral chair, $425 32x34x36h. Swivel blue & orange chair, two available $495 ea 33.5x33x35.5h. Sea turtle art, $265 47.5×35.5. Beaded chandelier, $245 22x22x14h. Rattan lamps, $145 ea, 29h. A better look at the items above including the 38″ round ottoman for $295. 18″h. Remember that truckload of outdoor furniture we received? There’s still EVEN MORE to see! Luxurious outdoor daybed retails at $3800, our price $1895. Very large scale, 92.25×62.5×94.5h. Outdoor pillows $10-$14 ea. (L) lounger with cover retails at $658, our price $295 29.5x91x45h. (R) pair of brand new outdoor wicker chaise lounges. They retail for $418 each, our price $225 ea. 31.5w 78.75 long. Pillows $10-$12ea. European design. Home Again prices. Luka outdoor loveseats retail $698 ea, our price $350 ea 55.125×28.25×28.25h. Stackable chairs retail $234 ea, our price $125 ea. Armchairs retail at $234 ea, our price $145 ea 23.5x22x32h. Coffee table retails at $198, our price $125 39.5×19.75×16.5h. This 60x16x35″h whitewash sliding barn door cabinet won’t last long at $425. Wooden lamps, $95 ea 33h. Textured beach art, $295 47.5×36. Accessories, $8-$22. A beautiful coastal living room set at a sweet price…87″ blue sofa, $595. Club chairs, $395 ea 36x33x37h. Ottoman $265 29x24x18h. The most ahhhmazing high-end ceramic garden stools in soft aqua and ivory retail $400+ ea. (L) our price $165 ea, 12x12x20h. (R) our price $125 ea, 16″ diameter x 20h. Ivory sofa w/ silver nailheads just $695, 94x37x34h. Navy designer lamps, $125 ea 31″h. Jellyfish framed giclees in navy and white $375 ea, 27×51. Accessories, $2-$42. Whitewashed dining table w/ 6 chairs, brand new at $995. 78x40x30.5h. Giclee, $295 49.5×39.5. Accessories, $5-32. The BEST recliners that swivel and glide too, $695 ea. 34×34.5×39.5h. Covered in durable ‘Revolution’ fabric that can be cleaned with BLEACH. Can be special ordered in different fabrics, too. A dove grey sectional that is big enough for the whole family, brand new, $1,895 123.5×124. Ottoman & pillows included. We also have a similar sectional that faces the opposite direction. Stylish grey barn door media cabinet $425, 60x16x35h. Vibrant hand painted abstract, $295 50×50. Red 30″ ceramic lamp, $85. Accessories, $12-$28. High end baskets by Mainly Baskets. Left, these large scale ‘log’ baskets are re-inforced with wood on the inside. Retail $320+ ea, our price $125 ea. 22x16x25″h & 18x18x25h. Right…French country pull baskets retail $280 ea+. Small, $145, 17×14.5x34h. Large, $175, 14.5x17x35h. Just in on consignment by quality maker BROYHILL…Chofa w/ reversible chaise $695, 98x65x36h. Chair & ottoman $395, 43x36x33h Pillows $18-34, Lowcountry marsh art $295, 52x36h. Awesome multi-color cabinet just in on consignment but in like-new condition retails $900, our price $595. 72.5x18x38”h. Grey wingback chair, $383 27.5×34.5x42h. Floral abstract companions, $245 ea 39.25”sq. Green pendant just $75. 15”diamx12”h. Accessories $8-$24. Beaded BEAUTIES! (L) $595, 25.5″ diameter x 41.5″h. (R) $395, 25.5″ diameter x 20.5″h. Charcoal sectional with ivory piping brand new $1295. 90×114.5×66”chaise side. Throw pillows, $10-$25. Wood & metal table $47 16x16x18h. Quality glass top coffee tables in on consignment… (L) Carved wood glass top coffee table is a steal at $295. 53.5×34.5x20h. (R) Classic LaBarge scalloped coffee table goes for $1,800 on 1stDibs, buy it here for $695. 41.5 diam, 16’h. Excellent condition. A timeless Ethan Allen hutch a deal at $695, 64x19x85.5h. Accessories, $6-$42. Never pay retail…(L) rattan-bamboo desk retails $950, our price $325. 40x20x33h. (R) console retails $529, our price $245. 48×15.5x28h. This screams DIVA DEN…Leopard print chaise brand new, $475 33x58x35h. Magnolia stems $12 ea, throw $43. How pretty is this whitewashed bench with cushion? $345 55x18x20.5h Phone orders accepted, 910.679.4302. Did you vote yet? Please take a minute! Thanks. 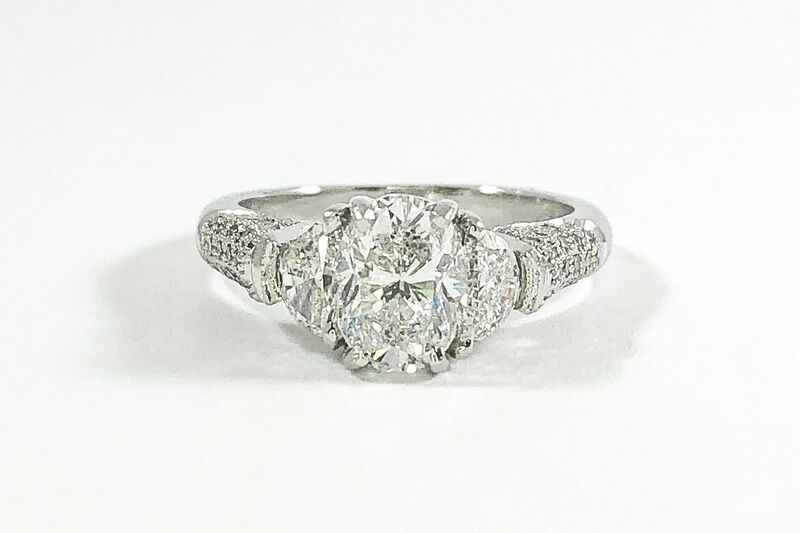 STUNNING 1.52ct D color and SI2 clarity oval diamond in a .80 ctw diamond and platinum setting, $9,195. 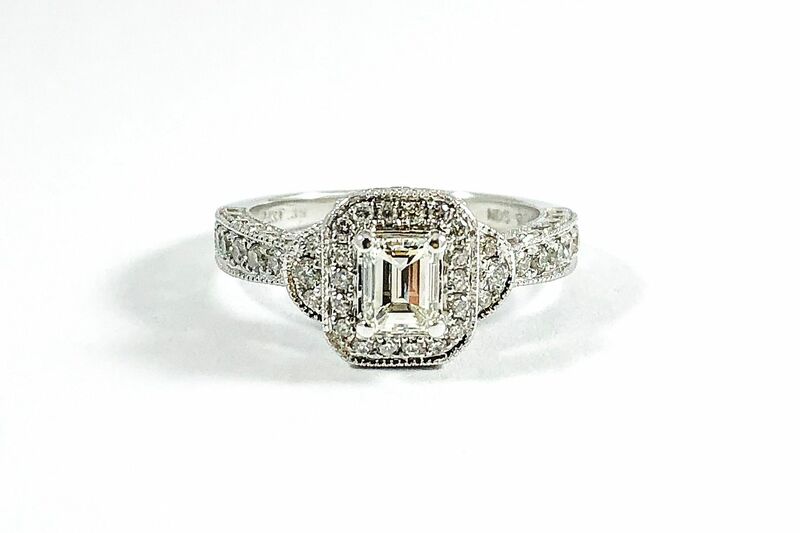 .39ct I color VS clarity emerald cut diamond in a diamond and 14k white gold setting, $995. 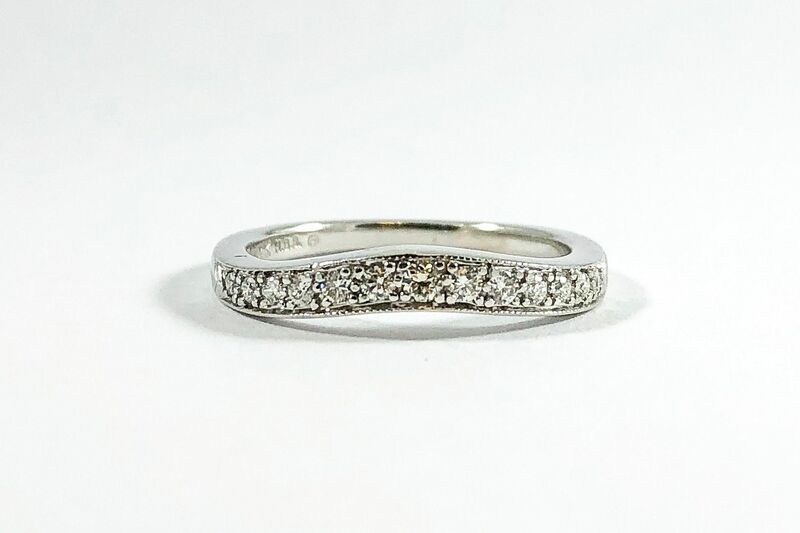 Diamond and 14k white gold curved wedding band, $495. 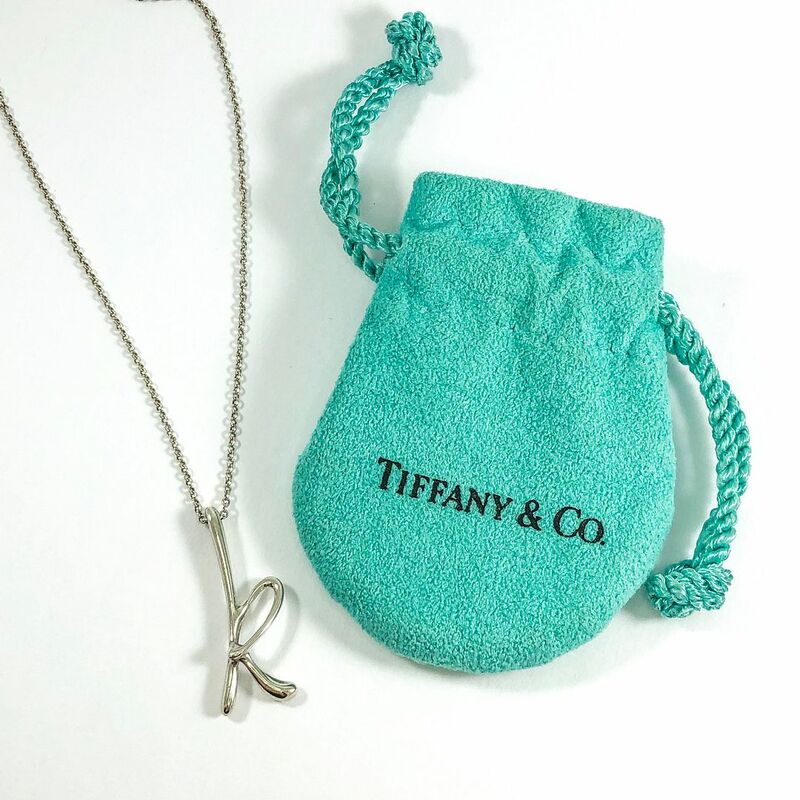 Tiffany and Co. sterling silver “K” Elsa Peretti necklace, $160. 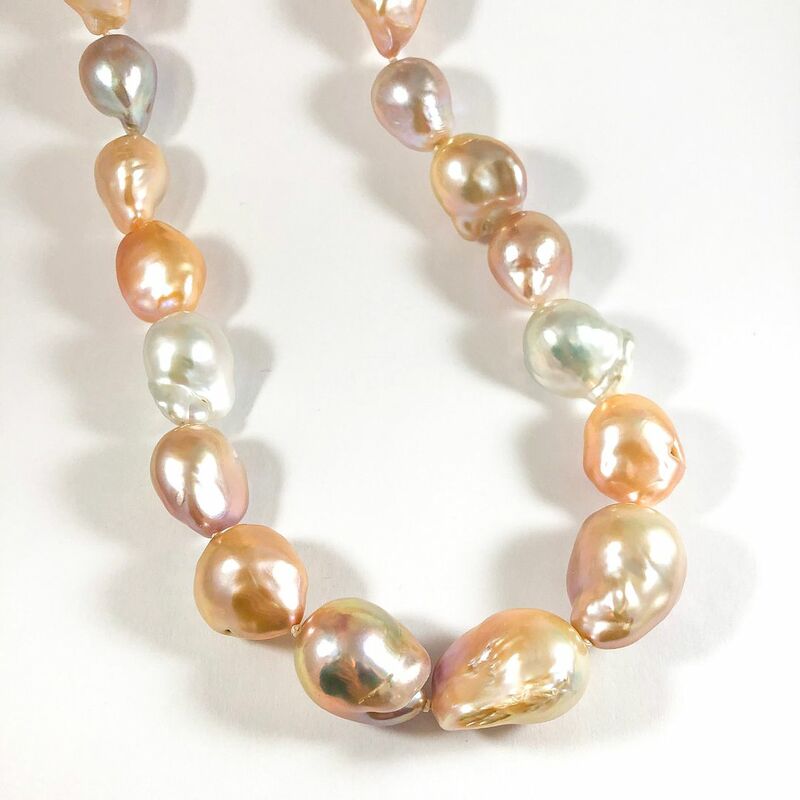 13-16mm pink and white baroque freshwater pearl strand with 14k rose gold clasp, $1,995. 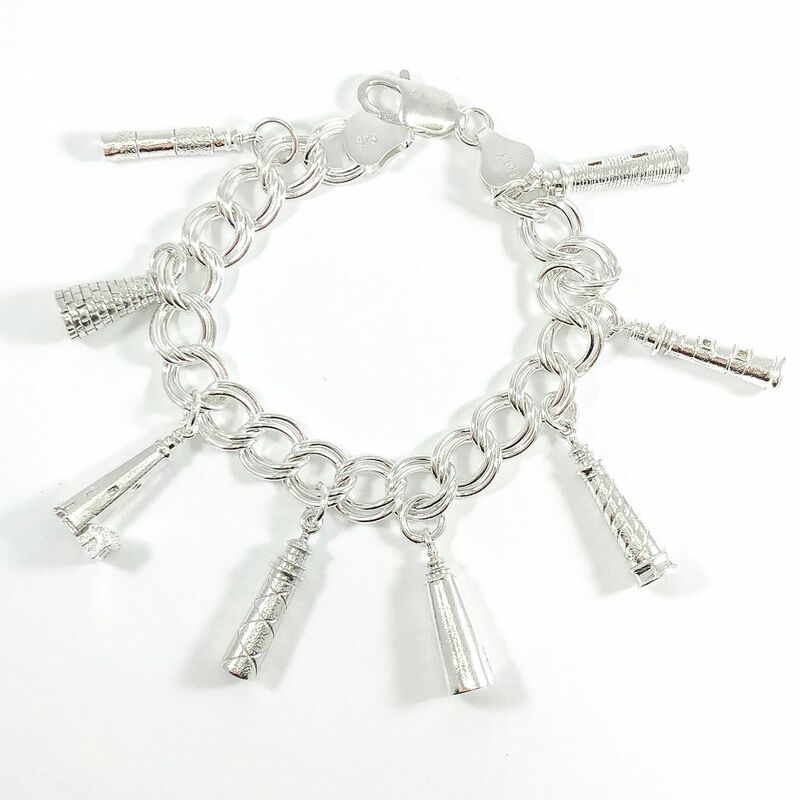 Sterling silver lighthouse bracelet, $120. 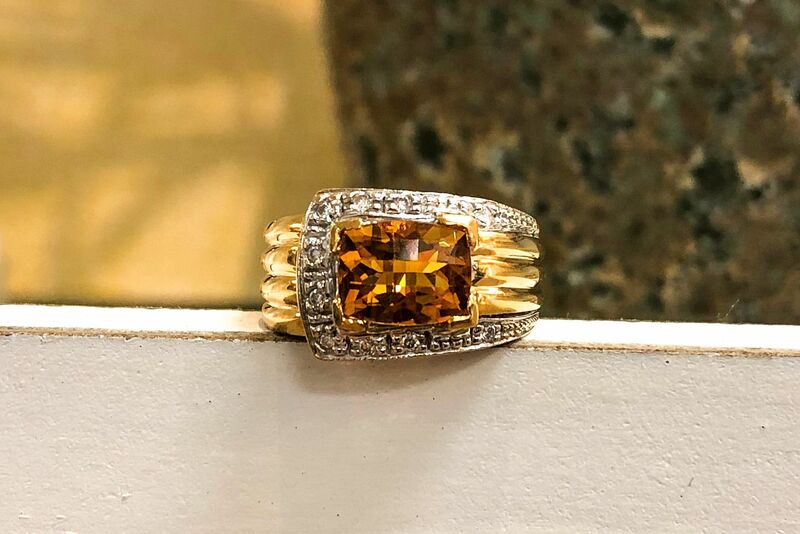 Citrine and diamond ring in 14k yellow gold, $495. 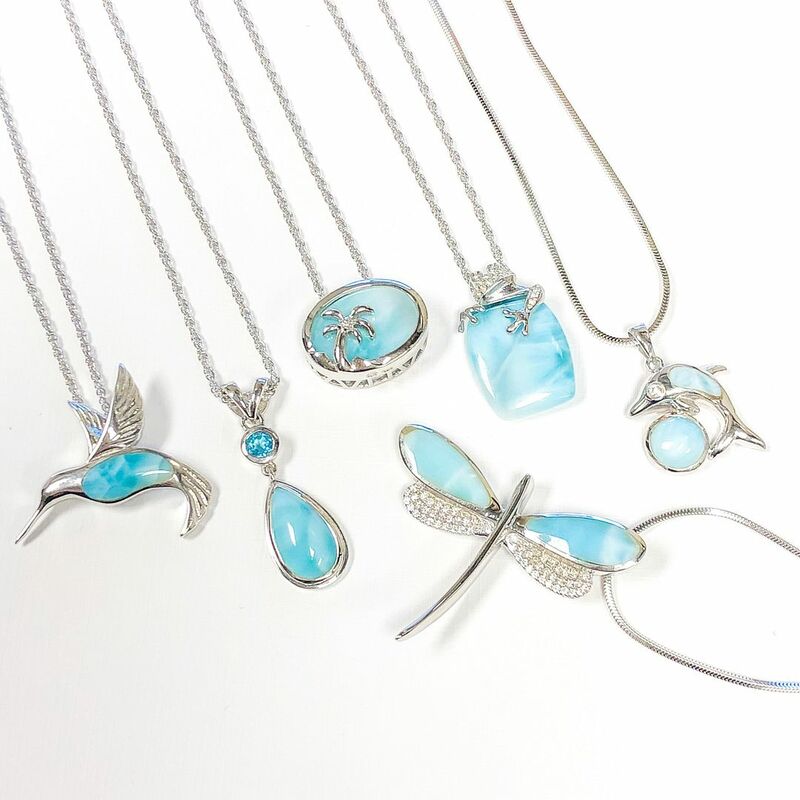 A pop of blue for spring…new from Marahlago! Tons of fun necklaces that would make the perfect spring accessory! Prices start at $168. 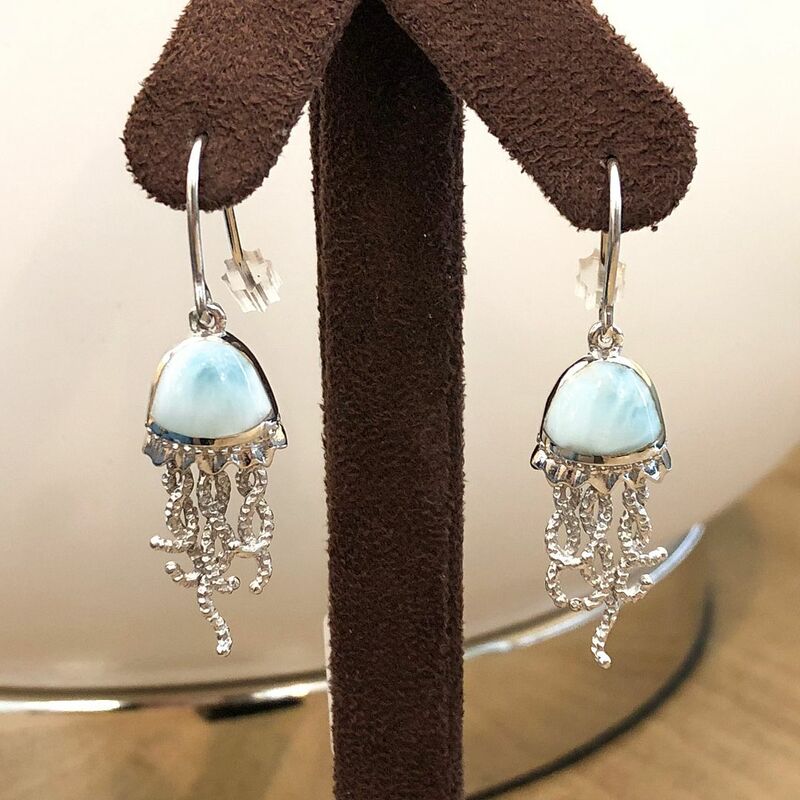 Fun Marahlago larimar jellyfish earrings in sterling silver, $265. Marahlago “Maris” Larimar ring with white sapphire accents, $240. 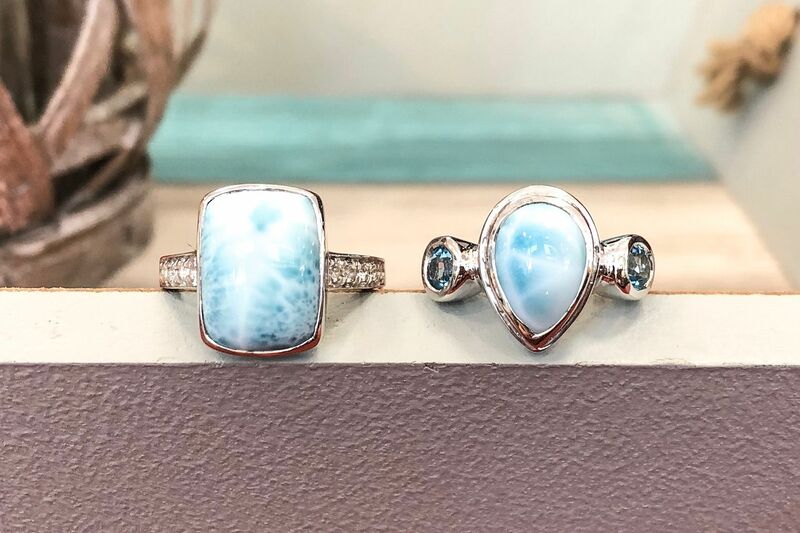 Marahlago “Atlantic” larimar and blue topaz ring in sterling silver, $160. 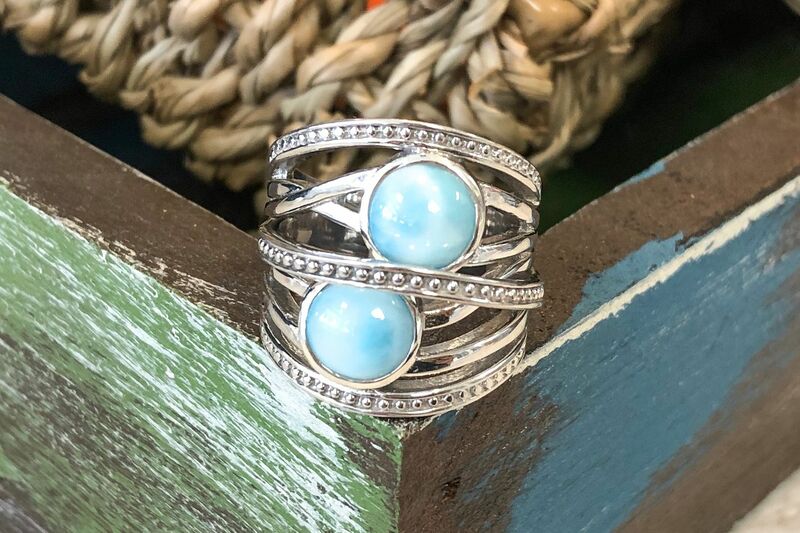 Marahlago “Indigo” Larimar and sterling silver ring, $279. 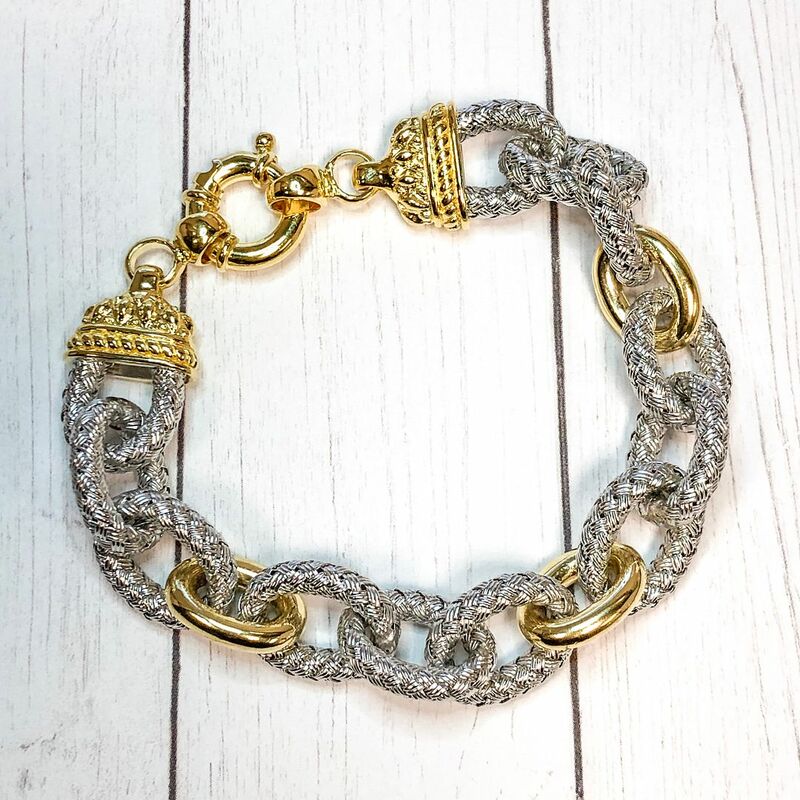 Charles Garnier sterling silver with 18k gold plate link bracelet, $450. Charles Garnier sterling silver, 18k gold, and CZ cuffs, $125 each. Charles Garnier sterling silver with 18k gold plate CZ cuff, $335. Charles Garnier sterling silver and three station CZ cuff, $125. Thanks for reading our email. Come shopping this weekend…you won’t believe your eyes, and your wallet will thank you!